Make Your Own DIY Dog Agility Equipment, How To Train Your Dogs On An Agility Course and more. OF COURSE DERON AND I TRAIN DOGS TO DO AGILITY! 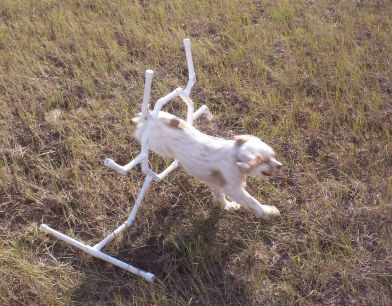 <smiles> If you know us, you know that we have and do teach all sorts of species of animals to Agility...as well as Build Our Own Agility Equipment...AND WE SHARE OUR INFORMATION AND IDEAS ON OUR WEBSITES FOR FREE! The contents of this page for Dog Agility is still under construction. We add information and ideas as well as new photos as we continue to train through the years.Please check back.